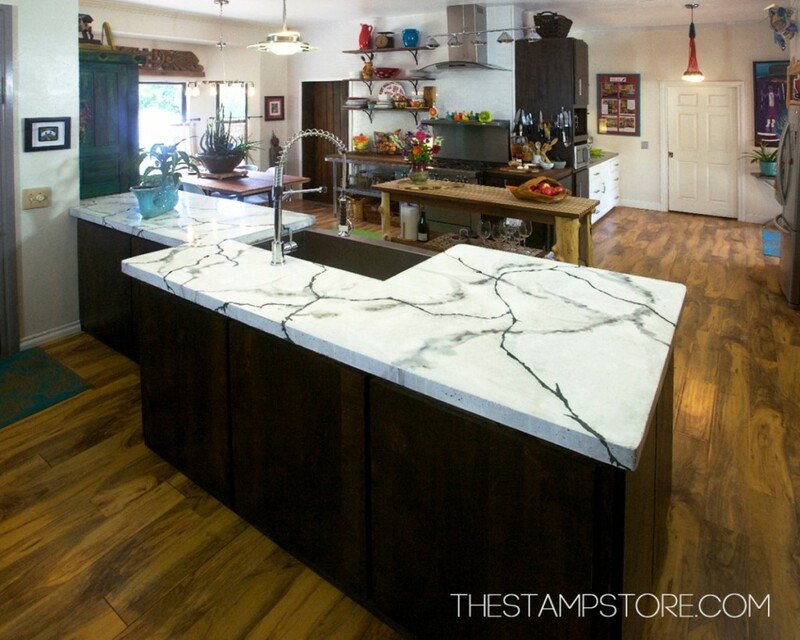 As concrete countertops become more mainstream, many professionals as well as DIYers are seeking a better alternative to the “mix your own” formulations and are choosing to go with more proven, consistent pre-packages concrete countertop mixes. While some mixes require special liquid polymer additives the more advanced mixes only require water, and will provide a smooth flowable consistency that will cure rock hard. The manufacturing process of a concrete countertop can entail many different details and processes. Today, it’s nice to know that even if you haven’t developed a prefect consistent mix formula of your own, enCOUNTER concrete countertop mix will provide a pre-packaged formula that is guaranteed to work time after time. So now you can focus on your creative elements, coloration and other details far more exciting than making a concrete mix. A prepackaged bag of concrete countertop mix will yield a very specific amount of material and will deliver consistent results with little fuss. 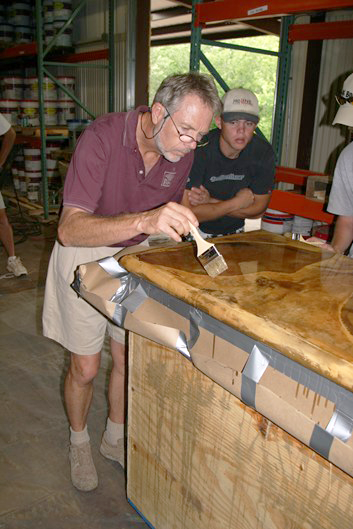 Each countertop, once cured will provide high strength, non-shrinking, and aesthetically appealing finish that is ready to be polished or sealed as a finished product. Concrete from your local hardware store will provide a rock hard surface, but lets consider how the countertop will be used. High strength concrete will work in pours of 3-6 inches thick and will be ideal for sidewalks and patios, but a countertop needs a few characteristics that make it more of a functional and designer piece of work. Concrete countertops should be high strength, and be rated to 7000 psi or greater, have little to no cracking due to shrinkage, offer a quality product that has a lighter weight than typical concrete, cures faster for quicker installs, and be strong even though the actual slab is as thin as 1-2 inches. Coloration for concrete countertops can be achieved with integral coloration, surface dyes and/or concrete stains. By combining different coloration techniques you can achieve virtually limitless colors and hues. 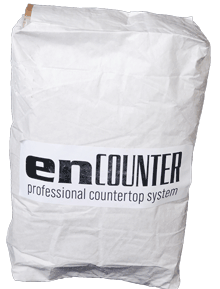 For instructions on how to use this product, please go to the Technical Information section of our website.enCOUNTER is the best countertop mix for all your different types of countertop projects. 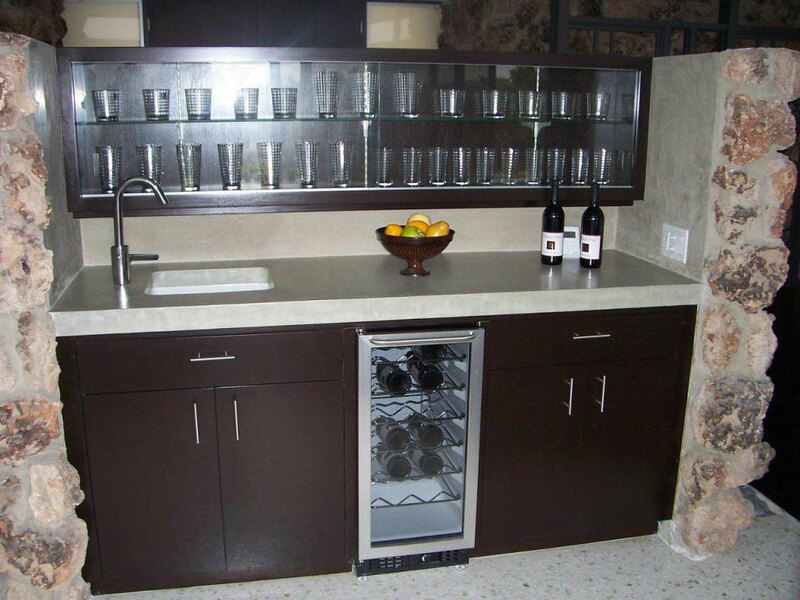 It can be used for kitchen countertops, bathroom countertops, commercial bars, outdoor kitchens and any of your DIY concrete countertops that you would like to create.